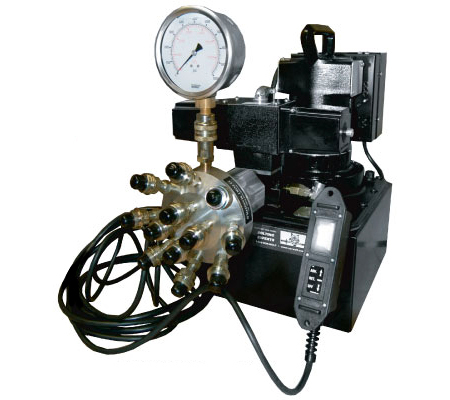 Norwolf NTW-EPM, holding valve, 4 port double acting manifold and NTW-ARC. Norwolf hydraulic pumps are industry standards. 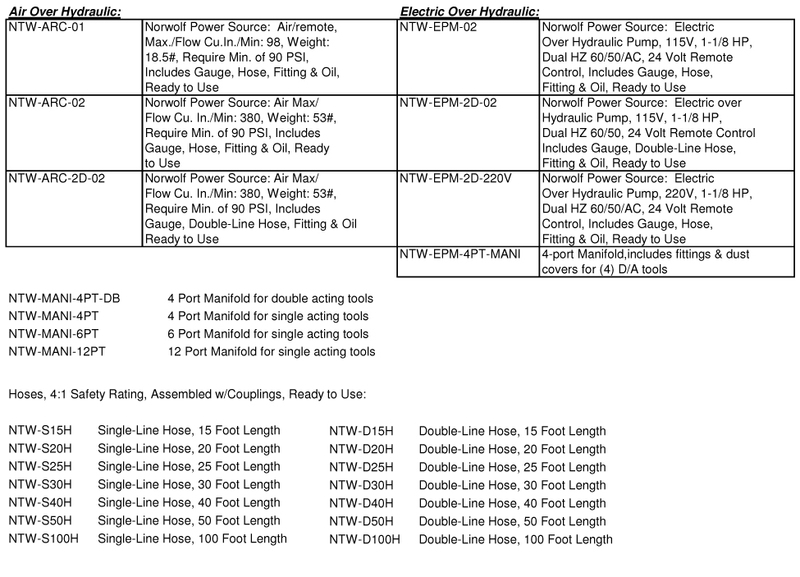 Manifolds and hoses are available in a variety of sixes and configurations. • Available with electric, air, or hand powered. • Electric pumps available with 110 or 220 volt. • The NTW-EPM will operate all 10k hydraulic tools. • The ARC 01 for single line tools only.